This special award will celebrate plant life throughout the UNESCO World Heritage Site of Ironbridge Gorge, the birthplace of the industrial revolution. This special award aims to bring visitors closer to the natural and national heritage of the Site, using plant life as a medium to communicate and celebrate the history of the landscape. In the 18thand 19thcenturies, life and industry in the Gorge was very different to today. Natural resources were being used like never before to fuel the epicentre of the industrial revolution. Since then, economics and globalisation have not just changed the social landscape but also the natural landscape as well. Woodlands, forests, fields and green space now cover this UNESCO World Heritage Site. The award then is a chance to celebrate these spaces and reflect on our place in the environment throughout history. Green spaces around multiple museum sites include over 80 acres of woodland with specimen trees, mature woods and naturalised deciduous woodland. Discover the natural wonder of this UNESCO World Heritage Site and capture it through the lens in this new special award focusing on the natural and national heritage of Ironbridge Gorge. With 10 award-winning sites and museums, get immersed in the natural history of the landscape and make novel artistic connections. By entering this category your image stands a chance to win the Green of the Gorge 1st place title. Only images taken at the Ironbridge Site are eligible for entry. 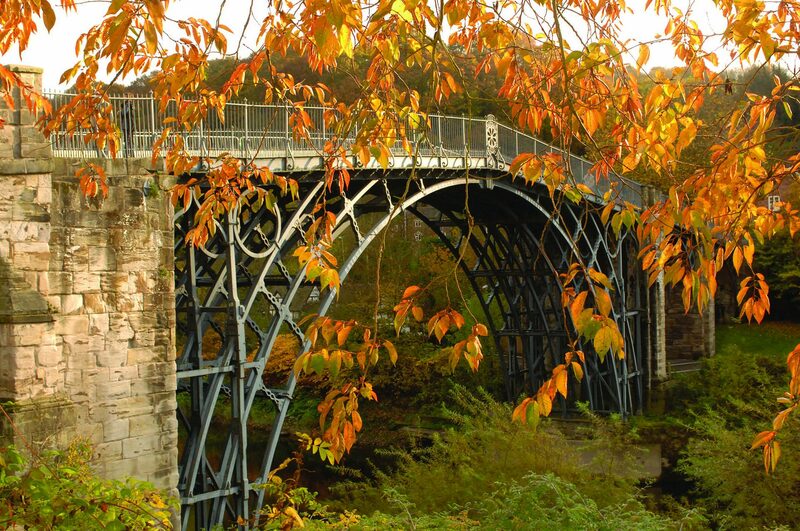 For more information and how to get there, visit the Ironbridge website.